my lil sis Liz Sauce came to town this past week! She and her sis in law, Shaye, went and saw hamilton the first night and the rest of the time we just hung with jack and explored. We had a blast. Core Power Yoga in Hyde Park. 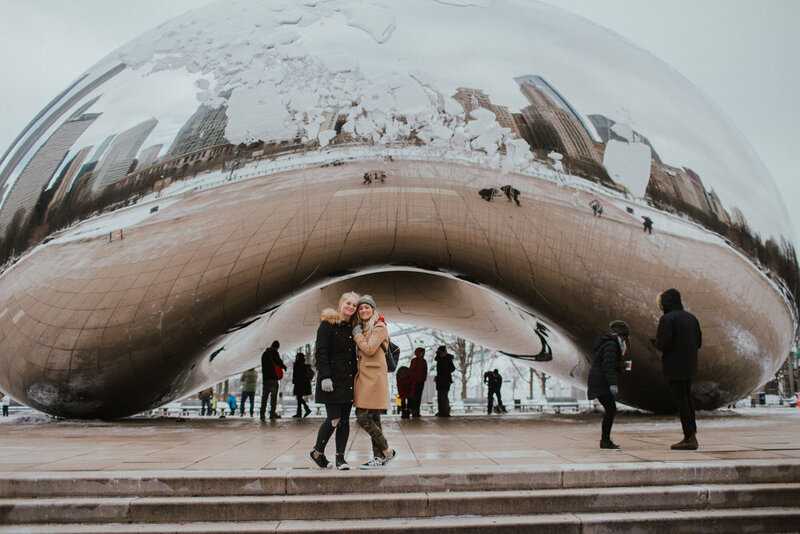 Lizzie and I went to the Core Power down the street from us all summer and it was so fun to get to do it again here in Chicago. A Stan's Donut's just opened right next to Chris' office. uh oh. We made a stop at second city. OBVIOUSLY. Old Town is so cute and it would not stop snowing. Then on to Jeni's Ice Cream.